Companions for Post Surgery Care! After surgery it is often vital to have caring, quality professional help for post surgery home care. In older adults this may necessitate the assistance of an in-home health caregiver. Value Care excels in matching qualified and competent caregivers with people who need post surgery home care. Consider Us for our stringent screening processes so clients will have caregivers that are referred with more experience and core skills. Many people who need post surgery home care are hoping to recover from surgery in their own home without compromising their independence. Others may need help at locations like hospitals and rehab facilities. Depending on the client’s age and the scope of surgery he or she may need help with any number of daily tasks. This may include homemaking assistance such as cleaning and cooking, personal care like bathing and feeding, pet care, or transportation to doctor’s appointments. 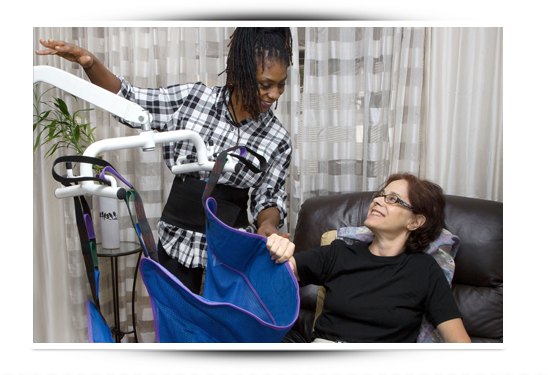 We match our clients with better quality caregivers based on their individual needs and desires Caregivers are screened according to our FIVE STAR PROMISE, and client satisfaction is backed by our First Day Satisfaction GUARANTEE. Whether a client needs help once or twice a week with homecare, or around the clock care, we can help. Pay Less and Get More Care! Through our Care Match Program we consult with clients to determine their preferred needs and daily tasks that require assistance. We then refer them better qualified and more experienced caregivers. Clients often save 25% or more off typical costs, and can therefore have more hours of much needed care if they choose. Value Care also does not charge upfront deposits, or change our referral fees to higher rates on holidays and weekends.